Help your child enjoy the outdoors again! You may remember learning about all the systems in our bodies . . . the immune system, the endocrine system, the digestive system and more. When talking about asthma and allergies, we look at the respiratory system (lungs, diaphragm and trachea) and its ability to FUNCTION. We also know that the master system (the brain and nervous system) controls all systems and is in total control of the Respiratory system. There is research that suggests a link between the spinal column, the nervous system and the respiratory system. There is one system that is in charge of how all the others work: the nervous system. Research suggests that there is a link between the spinal column, respiratory system and nervous system. If your child suffers from allergies or asthma, it’s a sign that their respiratory system isn’t functioning well. It may be due to a disturbance between the lungs and the nervous system. If your child is suffering from asthma or allergies, this is a sign that the respiratory system is NOT functioning the way that it should and that there is some disturbance to the control and communication pathway between the lungs (respiratory system) and the brain’s control (master system). Chiropractic is not a treatment for asthma or allergies; however, since chiropractic helps improve the communication between the brain and the lungs and helps them to function optimally, many who suffer from asthma or allergies report improvement from receiving chiropractic care. Reducing vertebral subluxations may help restore proper nervous system control of the lungs, so improved function can begin. Drugs may temporarily reduce symptoms but do not address the reasons WHY the symptoms of asthma and allergies are occurring and why the respiratory system is not functioning optimally. These days, airtight, super-insulated homes can trap chemicals, molds, formaldehyde and other irritants. Even the increasing use of cesarean births, antibiotics and our overuse of hand sanitizing products have been cited. If these factors were the only issue, or if these were the direct CAUSE, why wouldn’t all children living in the same house and breathing the same air suffer equally? Chiropractic care may help reduce the frequency and severity of asthma and allergy symptoms by improving the optimal FUNCTION of the respiratory system. Contact our office today to find out if specialized pediatric chiropractic care is right for your child! 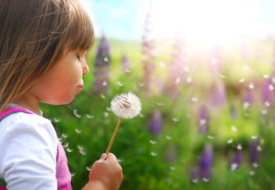 Schedule your appointment to get help for asthma and allergies in Woodbury.